On the vineyard there is one of the highest elevations of the Uckermark with a height of 111 m above sea level. Nn. 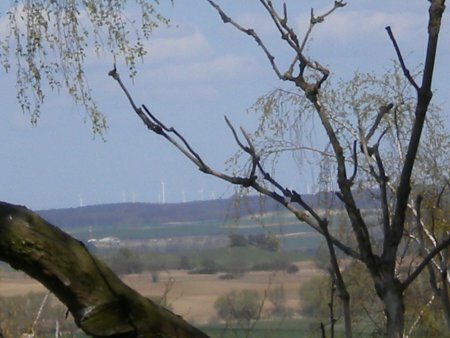 When the weather is nice, there is a unique view over Gerswalde to Prenzlau. The "vineyard" probably bears its name from the former wine-growing, which was already spread here in the Middle Ages. The last vines were destroyed 1739 by strong frosts. In 1962, during the construction of a geographical point of measurement, a burial site from the mid-Stone Age (ca. 7000 BC) Found. The Wallberg was an original Slavic, then medieval castle complex, which was abandoned in the late Middle Ages. Today, apart from a forest-stocked artificial elevation behind the church, nothing can be seen of him. 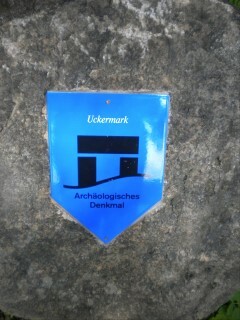 In 2011 the Wallberg from the district of Uckermark received the monument plaque. 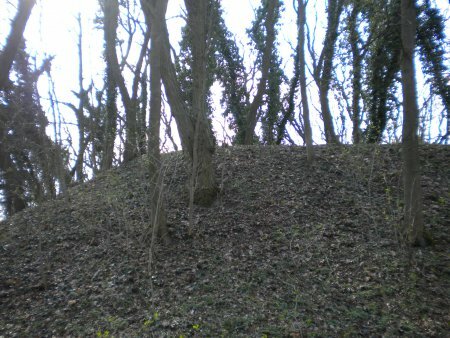 In the 8th Jahundert in the early Slavic period, the fortification was built on an area of 150×75 m. Justified. It is considered one of the great Slavic Burgwälle of Uckermark. It is also counted among the Slavic "folk castles". At that time there was probably a waterway from Groß Fredenwalde to the Baltic Sea. Thus, the Wallberg of Groß Fredenwalde can be considered the southernmost known Slav Castle in the enlarged German Baltic Sea region. In the 10th In the 1800s it was abandoned for unknown reasons. In the 12th and 13. In the course of the Ostkolonisation century, the abandoned Burgwall was built with a stone castle. In the 14th In the 1800s, it was probably abandoned after a fire.